Copyright (c) 1998, Darren Mottram and Brett Green. All rights reserved. All museum images by Darren Mottram and model images by Brett Green unless otherwise stated. Material appearing within this document may not be copied, stored or reproduced in any device or publication, in whole or in part, for the purpose of profit without the express written consent of the author. 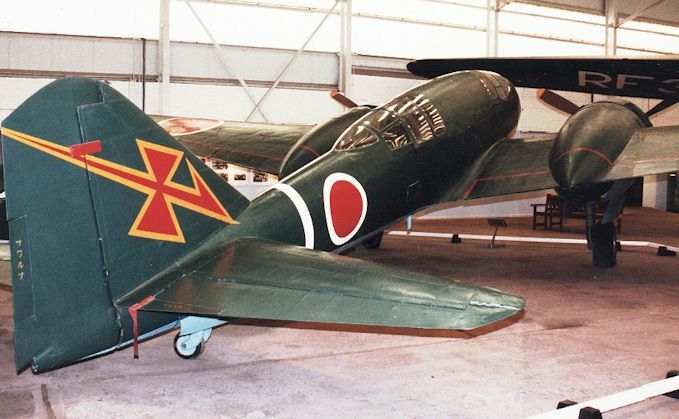 Mitsubishi's Ki-46 series was code-named "Dinah" by the Allies. 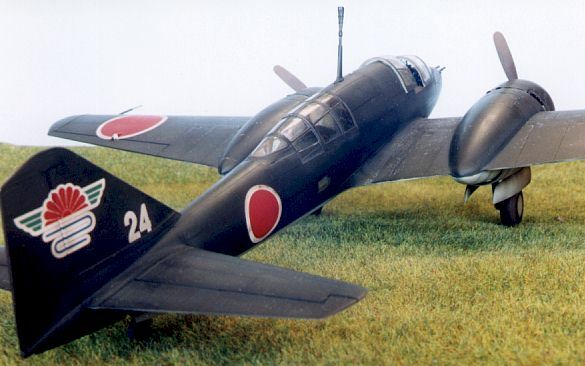 The prototype of this sleek, multi-purpose Japanese aircraft flew in November 1939. 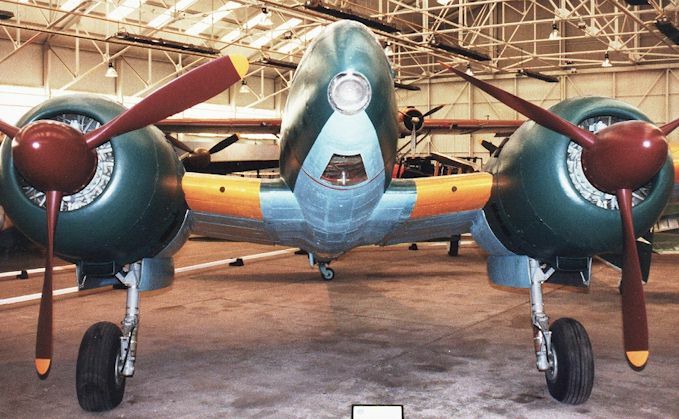 It was originally specified as a 600kph replacement for the Ki-15, and although the prototype did not quite meet this performance requirement it was still faster than any contemporary Japanese aircraft. 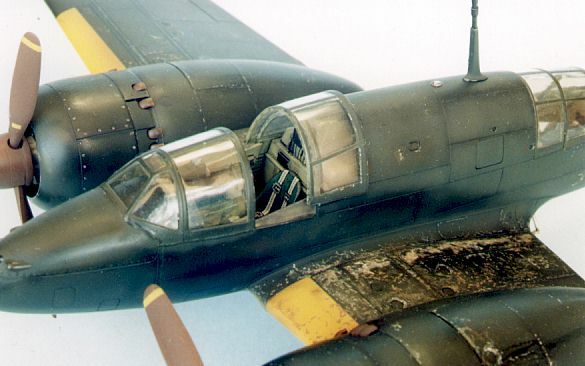 The original production version was the Ki-46-I Army Type 100 Command Reconnaissance Aircraft. 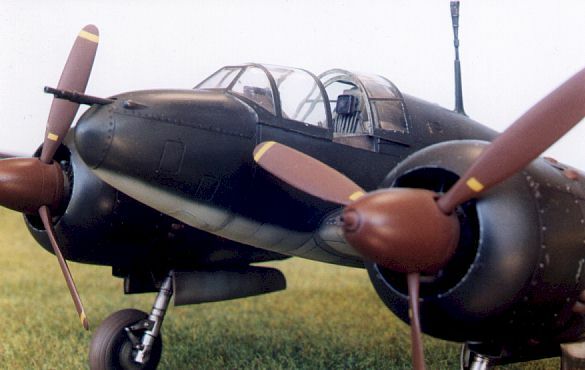 This first version was quickly replaced by the Ki-46-II with the more powerful Ha-102 engine. 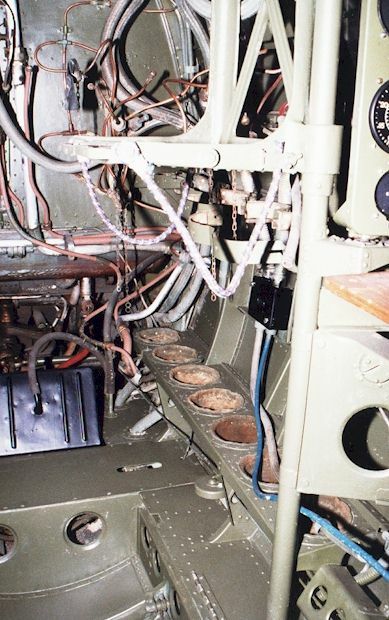 These engines were equipped with a two-stage supercharger. The additional power finally allowed this version to exceed 600kph. 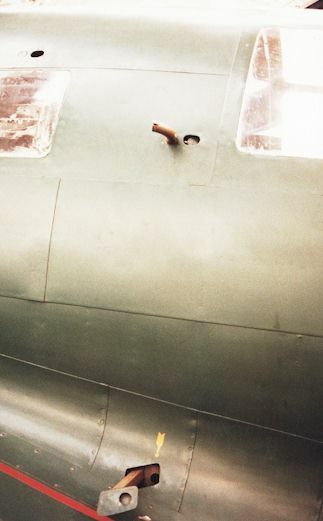 The streamlined perspex nose can identifies the Reconnaissance versions. 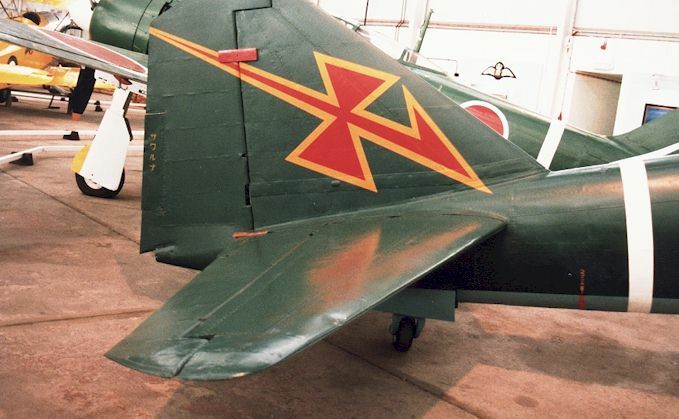 Over 1,000 of the Ki-46-II were produced. 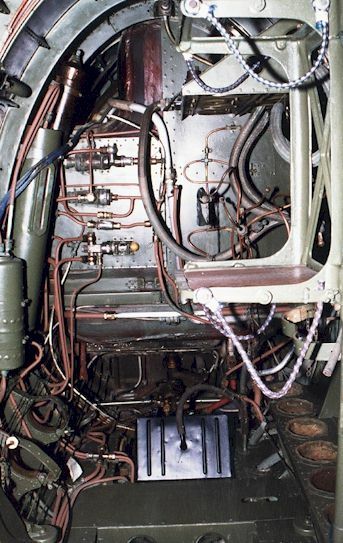 The ultimate Dinah, the Ki-46-III, was powered by the Ha-112-II. 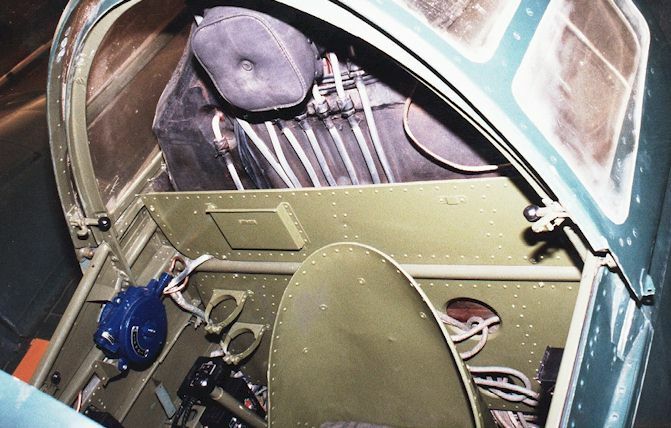 in the top of the fuselage, similar to "Schrage Musik" weapons in German night fighters. Four forward-firing 20mm Ho-5 cannon added further firepower. 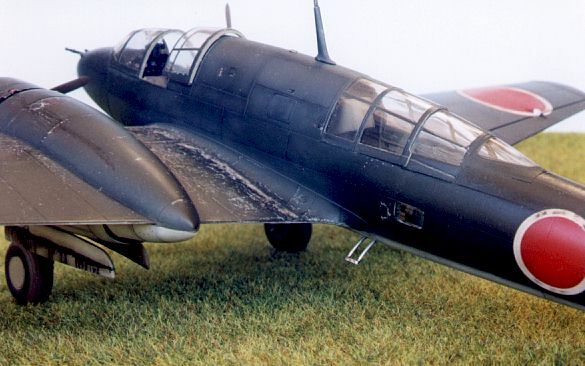 The fighter version was a development of the Ki-46-III Reconnaisance Aircraft. 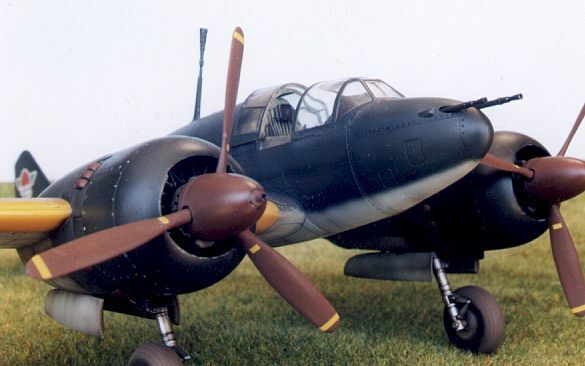 Investigations commenced in June 1943 and the "step nosed" fighter entered service by November 1944. 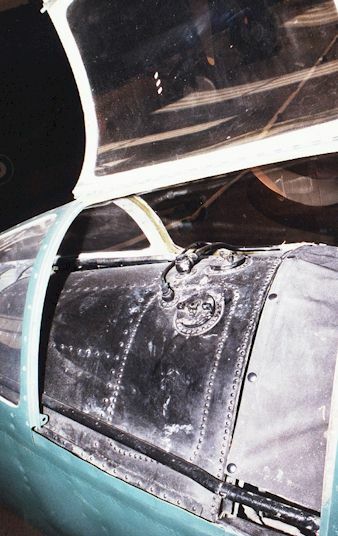 Sluggish climbing characteristics meant that this speedster was not as effective in the fighter role as hoped, but production continued. 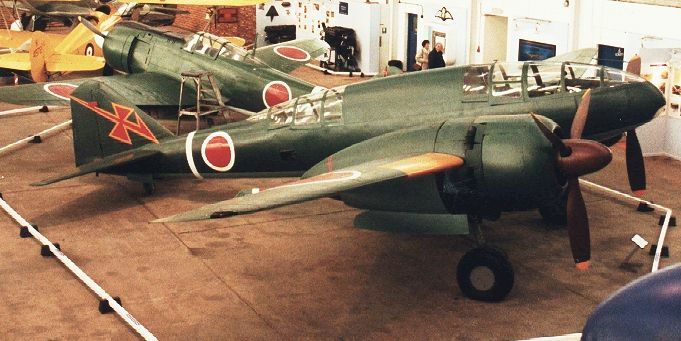 Over 600 Ki-46-IIIs were eventually produced. 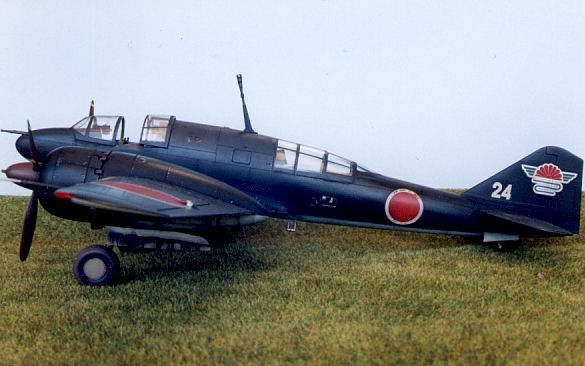 Tamiya produce both the Reconnaissance version of the Dinah (Ki-46-II) and the fighter (Ki-46-III KAI) in 1/48 scale. 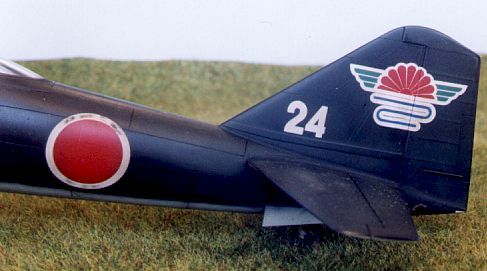 The kits do justice to the graceful lines of these aircraft, while the detail and ease of construction are exactly what one would expect from Tamiya in the 1990s - close to perfect! Chris built his Dinah fighter almost out of the box. It is painted with Tamiya acrylics. Another superb job. Click on the thumbnails below to view the full-sized image. Click on your browser's "Back" arrow to return to this page. 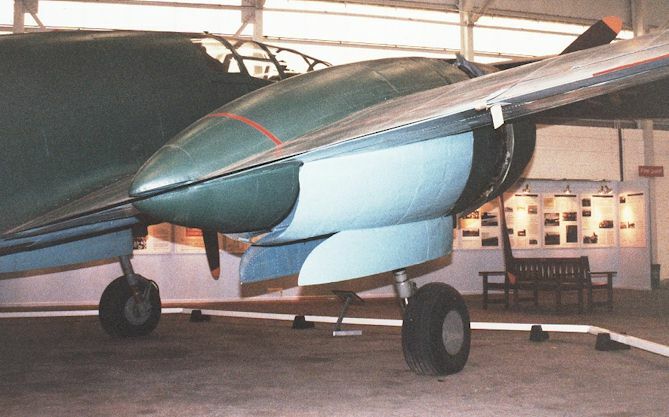 The Cosford Aviation Museum in England has restored a Ki-46-II. 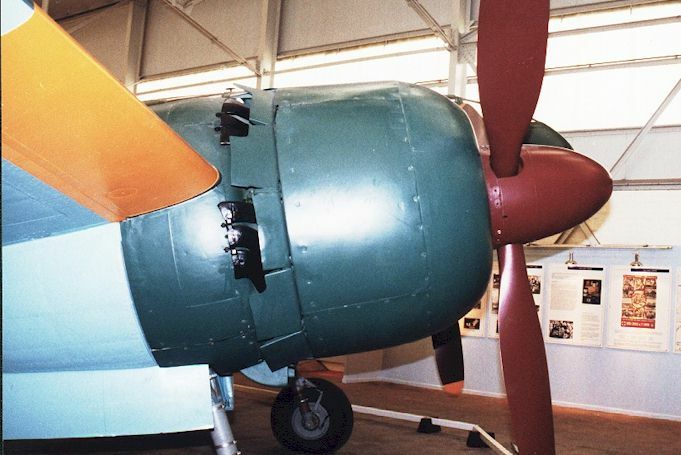 Museum staff have carefully reproduced the structure and appearance of the aircraft, using paint samples to match the new colours wherever possible. The result is stunning. 23 photographs are categorised, captioned and thumbnailed below. To view an image at its full size, click on the thumbnail. To return to this page, click the "back" arrow on your browser. 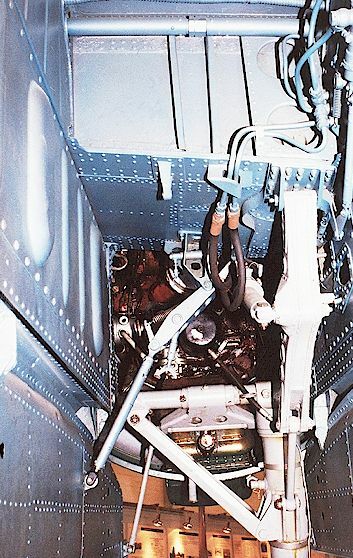 Observers cockpit looking directly aft. 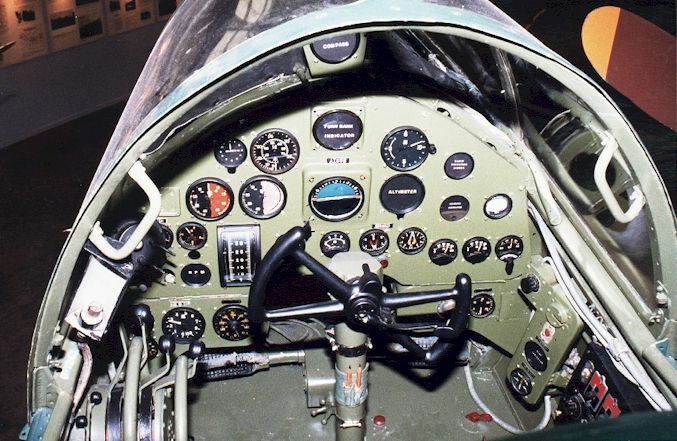 Observers cockpit looking fwd and right. Note rack for (missing) oxygen bottles. 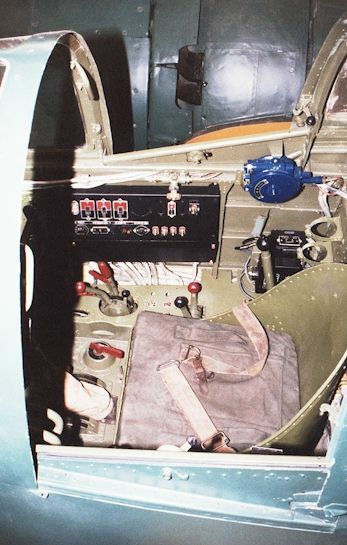 Note some instruments still missing with labeled blanks in their place. 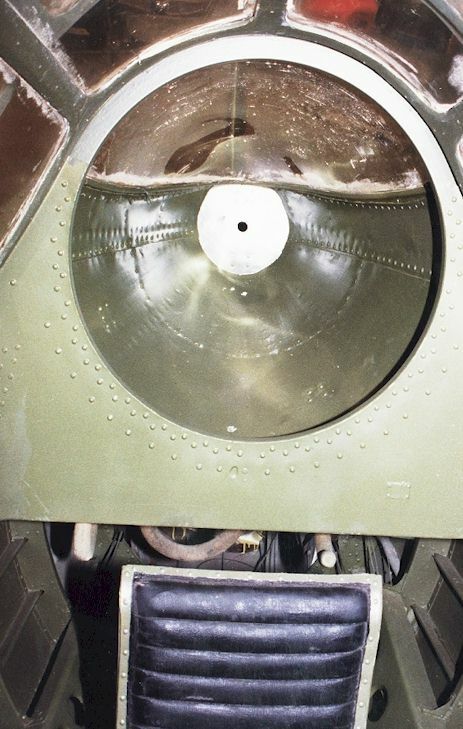 The nose area from the left showing the raised access hatch to the fwd fuel tank. 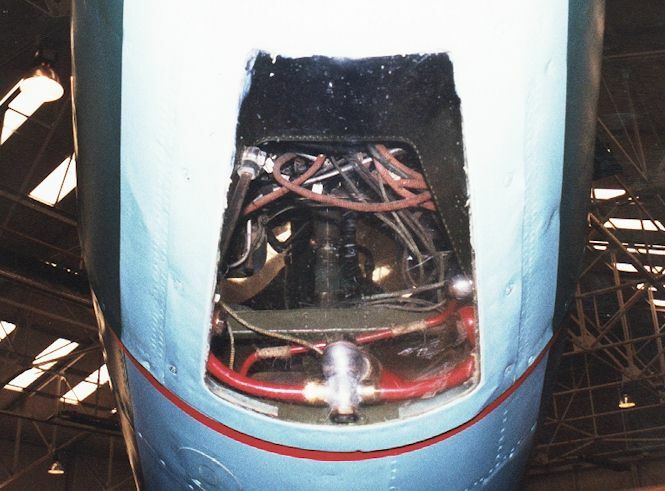 that the pilot sat between a big fuel tank in the nose and another one immediately behind his seat! Looking up under the nose into the cockpit floor area. Left wheel well interior looking fwd. 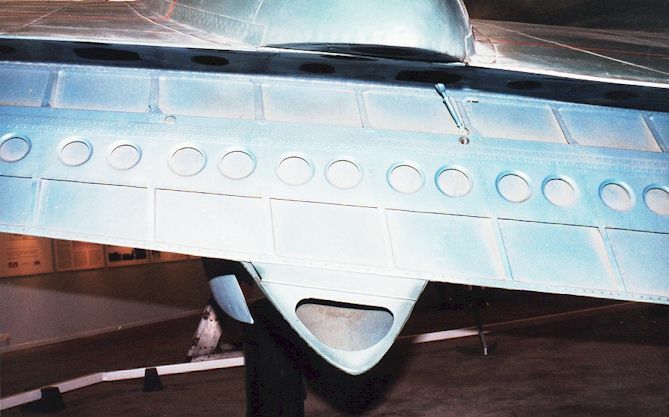 fairing extends rear of the wing thereis a horizontal gap in it. Head-on. 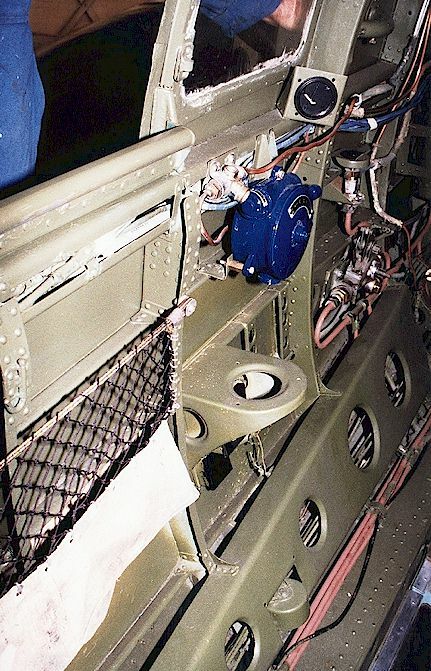 Very narrow fuselage and big engines! Left flap opened to reveal detail. Note the strange blue coating. 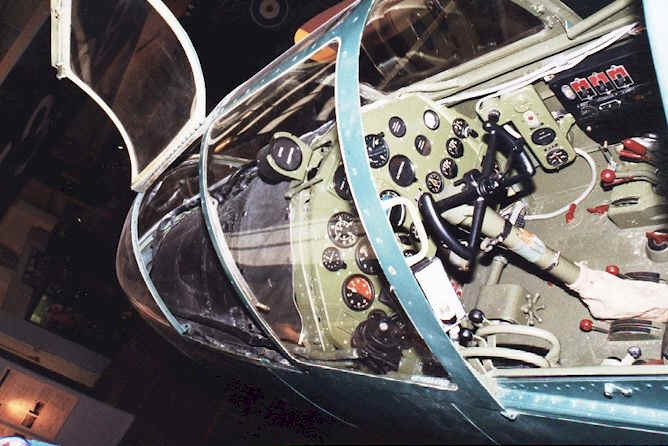 A view of the Dinah and Ki-100 at Cosford taken from the cockpit of the Lincon.